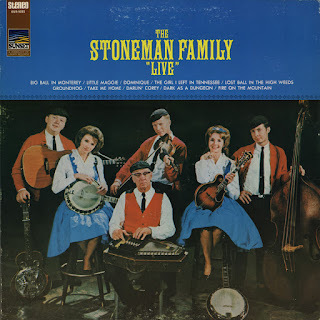 Another great LP featuring the classic 1960s Stoneman Family lineup, including fiddle whiz Scotty, is budget issue on Liberty's Susset imprint. 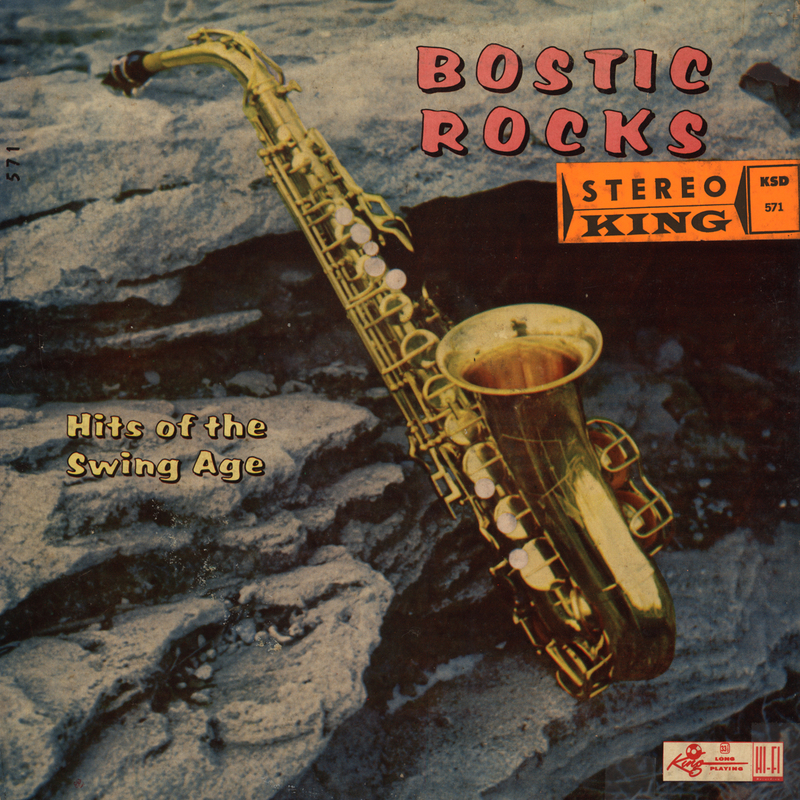 Issued in 1968, it is comprised of recordings of a 1964 performance in Hollywood. All in all a nice companion to the previously posted Starday album, both of which highlight the unique take on Bluegrass the Stonemans presented to appreciative audiences during the 1960s folk revival. This 1966 LP is comprised of tracks the legendary Stoneman Family recorded at Starday Studios in Nashville in 1962/63. 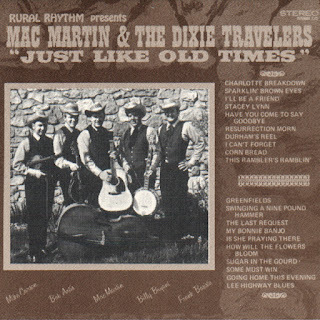 Featured are the classic lineup of Van on guitar, Scotty on fiddle, Donna on mandolin, Roni on banjo, Jimmy on bass, and occasionally Pop on autoharp and guitar. All contribute vocals. Enjoy! b. William D. Colleran, 26 April 1925, Pittsburg, Pennsylvania, USA. Colleran began his career as a teenager singing with Ed Brozi in a touring medicine show, and was influenced by acts such as the Monroe Brothers and the Blue Sky Boys. After World War II, he became interested in bluegrass music. 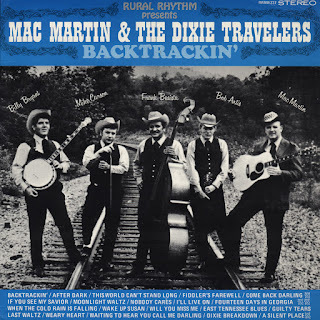 In 1949, he and his band played regularly on WHJB Greensburg, Pennsylvania, and since there were three members of the band called Bill, he decided he would become Mac Martin. 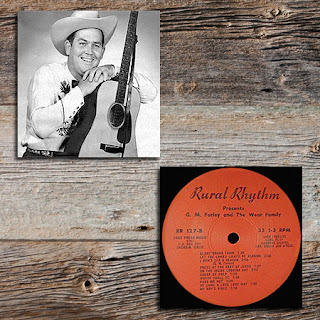 In the early 50s, he was noted for his banjo playing and fine vocal work, and in 1953, was playing with a band on WHOD Homestead, Pennsylvania, which was likened to that of Lester Flatt and Earl Scruggs. In 1957, he and his band took a residency at Walsh’s Lounge in Pittsburg where they played weekly for the next 15 years. In 1963, the Travelers recorded two albums for Gateway records, although only one was released. 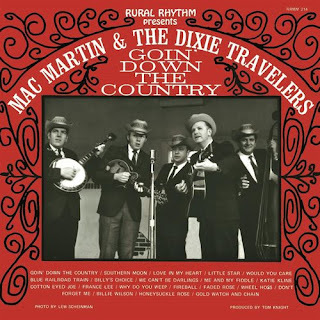 A few years later, they recorded four albums for Rural Rhythm. Noted mandolin specialist Bob Artis (b. 26 July 1946, Santa Monica, California, USA) joined the band and when Mac Martin left for a time in 1972, Artis took over. In 1974, when the band recorded for County, Martin had returned. 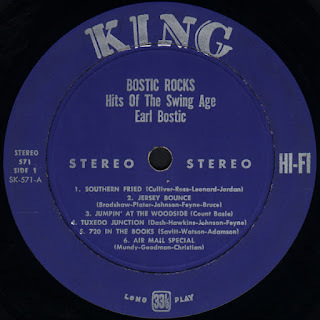 In addition to his playing, Artis wrote many articles for publications such asBluegrass Unlimited and Muleskinner News, and his bookBluegrass was published in 1975. 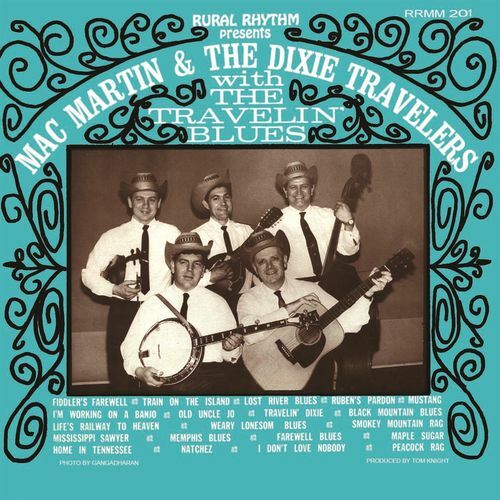 I first heard of Mac Martin as an adolescent when I checked Bob Artis' great book "Bluegrass" out of the local library and read it cover to cover, and I am glad to pass this great music along. Enjoy! Good morning! 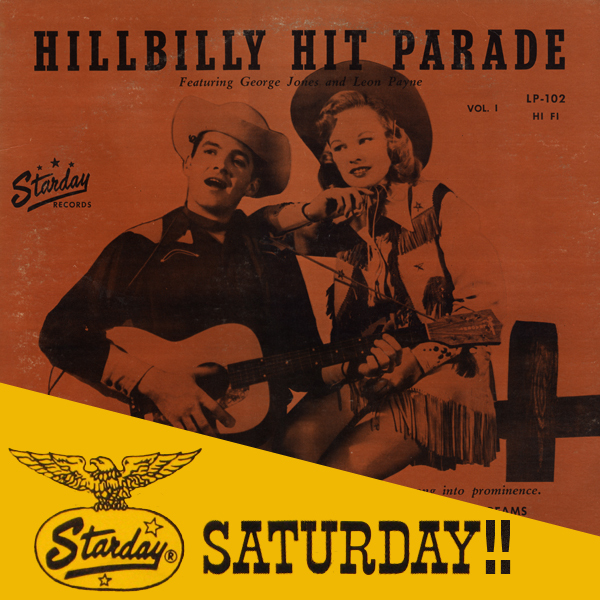 For today's "Starday Saturday" feature, we go back to 1956 for the second LP the label issued, "Hillbilly Hit Parade". 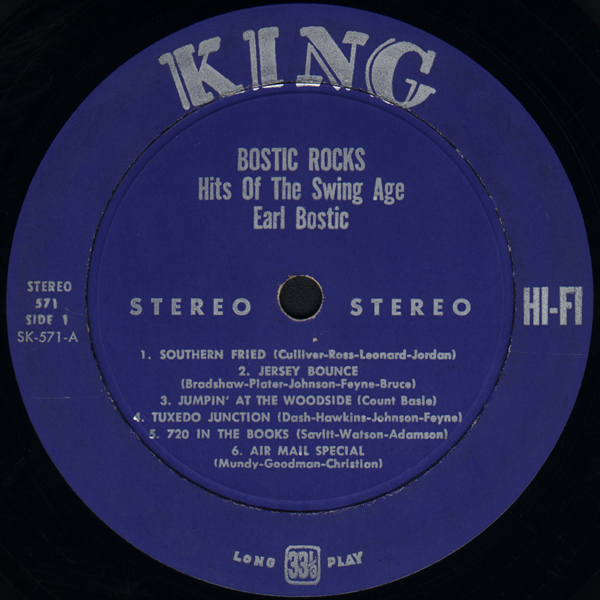 The idea seems to have been to combine some of the label's early hits (such as George Jones' "Why Baby Why" and Red Hayes' "A Satisfied Mind") with covers other artists' hits performed by 1950s Starday mainstays George Jones, Leon Payne, Jeanette Hicks, Benny Barnes, and Eddie Noack (credited here as "Eddie Blank"). Ol' George even takes on Elvis' "Heartbreak Hotel" as "Thumper Jones", a handle that was used on a few of the possum's forays into rockabilly. Country music has come a long way in recent years. 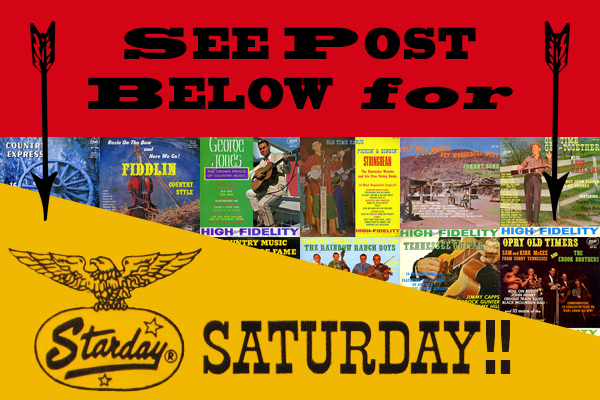 Many believe that so-called hillbilly music spread rapidly in popularity during and after the war. The vast movement of people from place to place resulted in widespread exposure to a sincere type of music that tells a story. The artists who have helped spread the popularity of country music are too numerous to mention, but certain songs have come to the front. These are the songs that are performed on records, in the home and in juke boxes, on radio, on T.V., in movies, and on stages all over America. These are the songs of the people, This is Americana in every sense of the word. 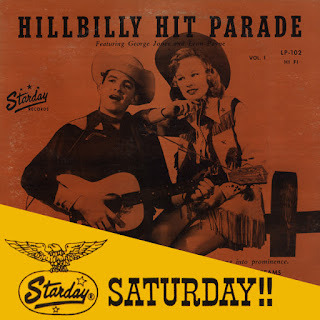 Starday Records has selected the sixteen most popular country songs of the past few months and they have been recorded by top artists with the sound and arrangement which made the songs so successful. It would normally cost $16.00 or more to purchase the 16 top country songs on single records. By combining the songs on one record, the top country songs in America are available at less than 1/5th the price that would ordinarily prevail. 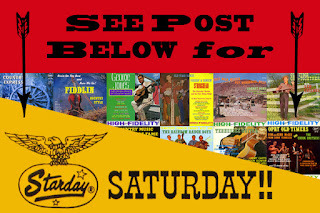 It is the public who make the hits and here in one collection are the country hits of today. 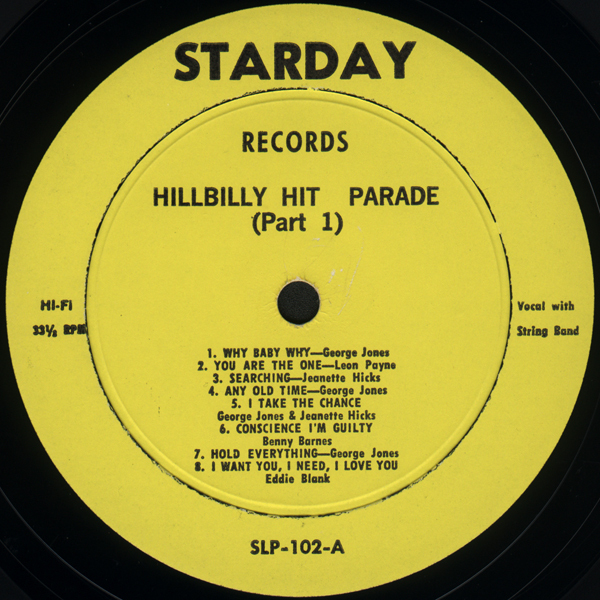 Watch for future issues of The Hillbilly Hit Parade on Starday long play records. For Sunday morning, here's some great vintage country gospel from the mighty Rural Rhythm catalog. 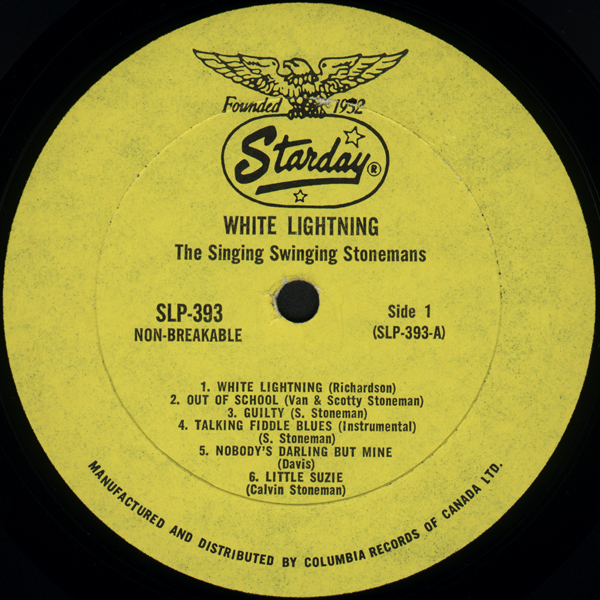 First released on LP in 1961, this collection of twenty tunes is performed by Rev. G.M. Farley accompanied by The Wear Family; both Farley and the Wears were featured on many early Rural Rhythm albums. Give Name: George Milburn Farley, Jr.
Rev. G. M. Farley was a coal miner like his father, until he was called into the Gospel Ministry around 1950. 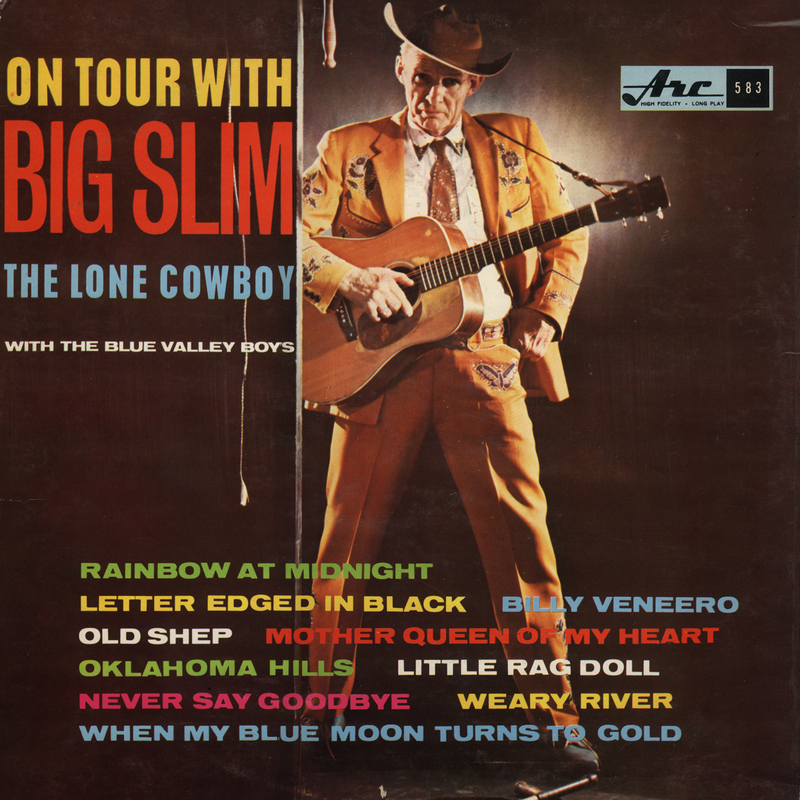 Before his conversion he had a bluegrass band called Fiddling Slim Blue in which he played the fiddle and sang. Part of his church ministry was singing, so in the 1960's cut several albums with Rural Rhythm Records. These were sold mostly in his evangelistic meetings and by Rural Rhythm Records' mail order service. He always planned on doing another album with just songs that he had written but never got around to it. Most of his free time was committed to his writing. He had numerous articles and several books published. He was also an accomplished artist with oil painting. He pioneered Trinity Bible Church in 1977, which is still thriving today. 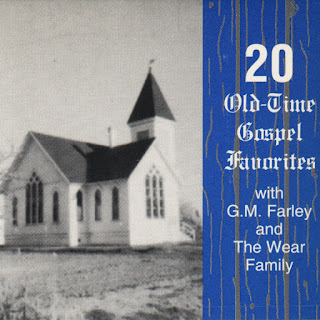 The present transfer is from a 1990 cassette issue and although, like many early Rural Rhythm albums, the selections are on the short side and the fidelity not optimal, it is still an enjoyable collection of traditional country gospel. Incidentally, another collection of vintage G.M. Farley recordings is available for download here. 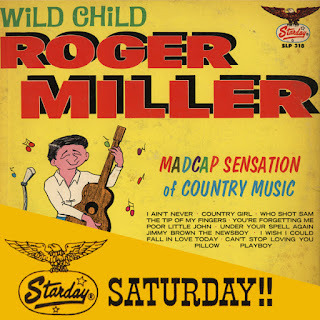 Another Starday Saturday here at Scratchy Attic in today's post of the 1965 LP "Wild Child Roger Miller - Madcap Sensation of Country Music". 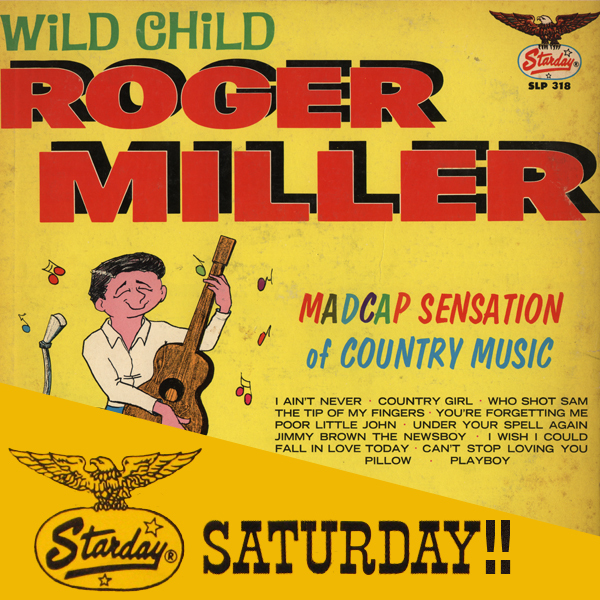 The recordings contained on the album were recorded 1957-1960 when Miller was a struggling honky-tonk singer who had been brought to the attention of Starday by his buddy George Jones. In fact, ol' George can be clearly heard singing the harmony on "You're Forgetting Me". 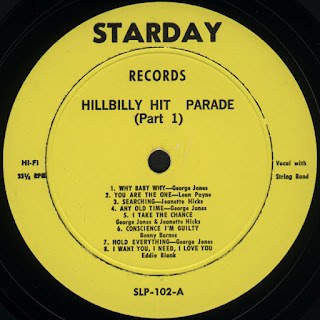 These recordings were originally singles, demos, and uncredited cover tracks on early Starday collections which featured covers of contemporary country hits of the time. 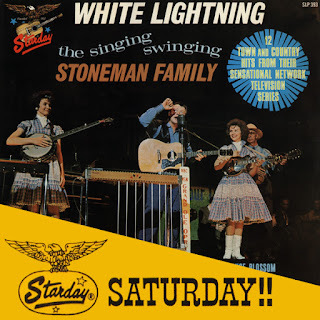 The LP was obviously issued to capitalize on Miller's mainstream 1960s success, but it preserves some great classic raw Starday honky-tonk in the process. Enjoy! One of the musicians who came to WWVA as a Border Rider soon branched out on his own. Big Slim McAuliffe had already experienced a wide degree of geographic and occupational variety. 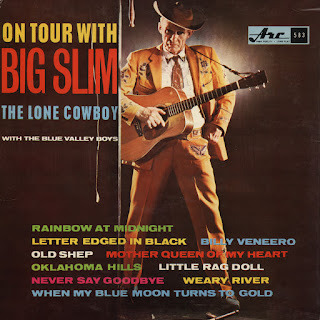 Born in Mercer County, West Virginia, on May 9, 1903 (or 1899, or 1904, or 1905), the facts of Slim’s personal life have become somewhat clouded largely because of his own capacity for contradictory statements. For instance, in a 1939 autobiographical statement in one of his songbooks Slim claimed to have been born in the city of Bluefield and on a 750-acre farm. He also contended he had been orphaned at eight, left home at eleven, and become a radio trick rider that same year, while on another page he displayed a contemporary photo of his father. Slim also punched cows and railroaded according to his “Life Story” before entering radio work in 1929. He gained radio experience in Pittsburgh and on a border station at Eagle Pass, Texas. 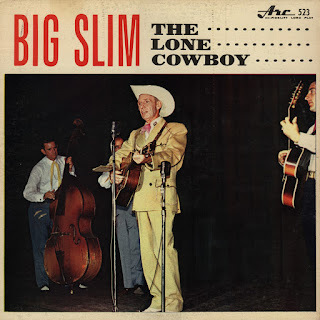 On December 17, 1936, he did a session for Decca under the name Big Slim Aliff which included the initial recording of the country standard “Footprints in the Snow” under that title. He came to WWVA late in 1937. At five feet eleven inches and 175 pounds he was neither very big nor very slim, but the nickname did seem to be in character with his other qualities. 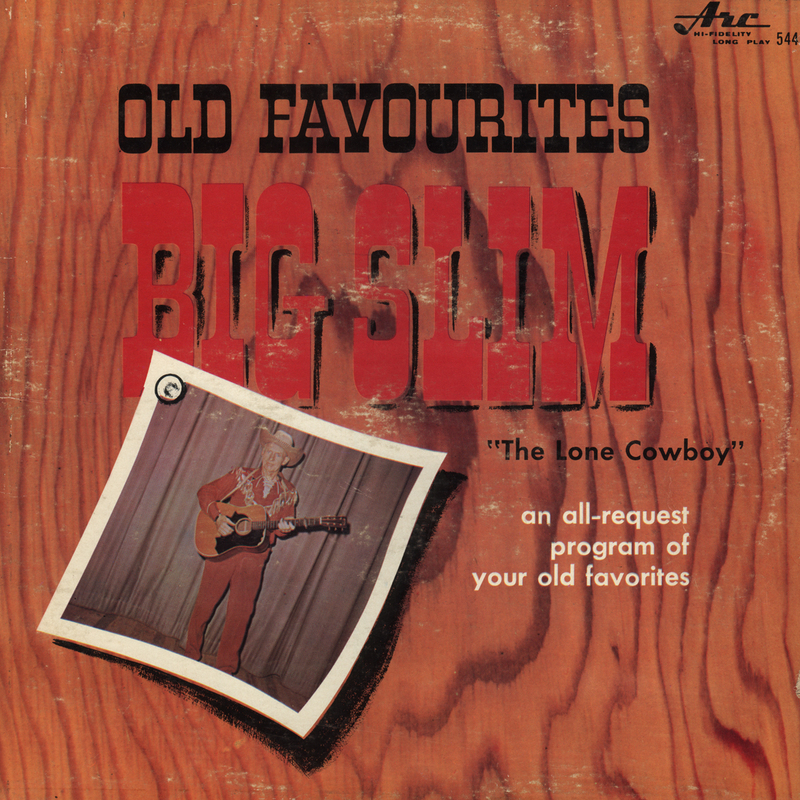 Big Slim possessed a rich and deep voice and rendered good versions of both common and more obscure western songs such as “The Strawberry Roan” and “Patanio, the Pride of the Plains.” He also sang mountain ballads like “Hills of Roane County” and copyrighted some good original material such as “On the Sunnyside of the Mountain” and “Moonlight on My Cabin” (although he reportedly wrote none of them). Slim had other talents which supplemented his stage shows, including whip and rope tricks along with a trained horse act. While the Lone Cowboy generally stayed close to WWVA, he went to other stations for brief stints and later helped younger artists such as Hank Snow and Hawkshaw Hawkins. 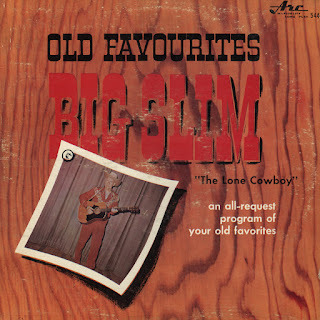 Harry C. "Big Slim" McAuliffe passed away in 1966, two years after the release of his last Arc album. 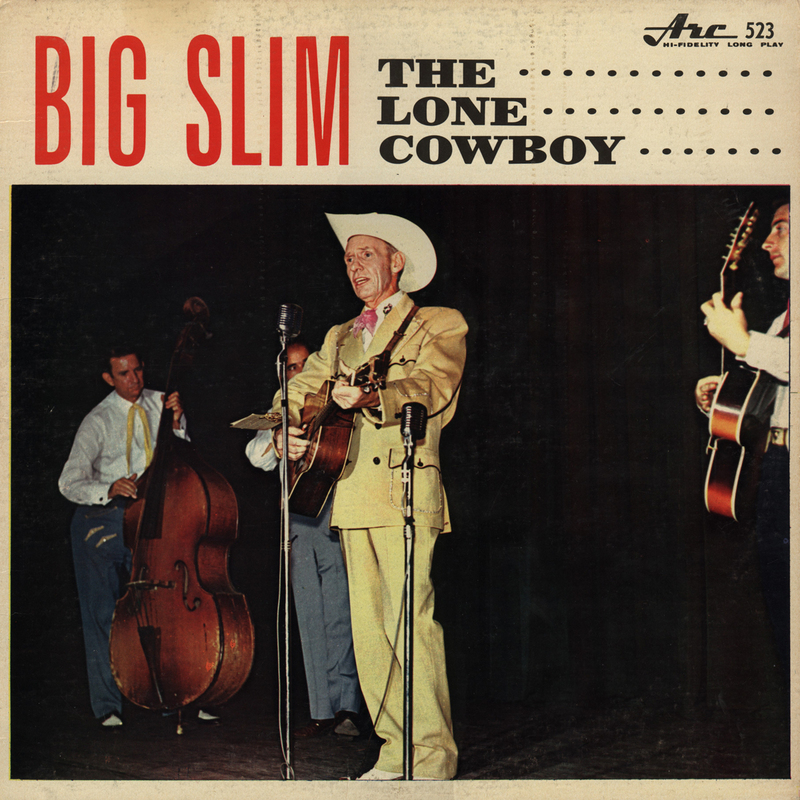 Big Slim "The Lone Cowboy"
An early bird Starday Saturday special! 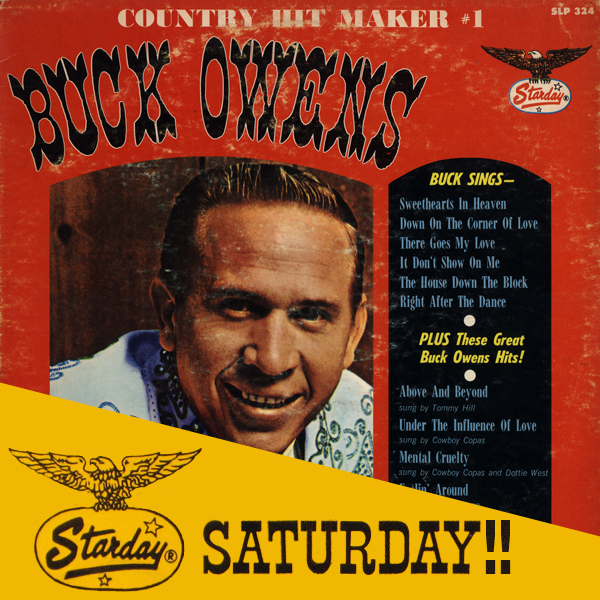 This collection of early Buck tracks plus some covers by Starday standbys popped up through the years with a few different covers and issue numbers. This edition is from 1965, and supposedly Buck worked a deal with Don Pierce to sell it at live shows at a time when Owens wasn't getting along so well with Capitol. All great stuff, enjoy!